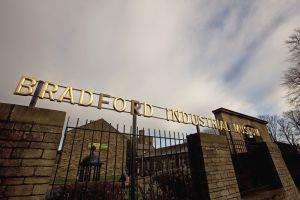 Bradford's Industrial Museum has permanent displays of textile machinery, steam power, engineering and motor vehicles, along with an exciting exhibitions programme. You can enjoy the splendour of the Mill Owner's House, or visit the more humble Mill-workers' terraces. Our Education team runs regular workshops schools and groups, along with special events and workshops accompanying the exhibitions programme. Tuesday to Friday 10.00 - 16.00. Saturday and Sunday 11.00 - 16.00. Closed: Mondays (Except Bank Holidays) Christmas Day, Boxing Day, New Years Day & Good Friday.